I'm a long time BTC user&trader,and I also trade other Cryptocurrencies for myself and other guys,it's get complex to track each record,and most of other guys lost their money because lack of experience.So I decide to issue a new EGA asset,and I do all the trading. EGA is short for "exponential growth asset",EGA's goal is to provide a stable and continuous profit for all shareholder by mainly trading cryptocurrencies and forex,EGA is using Ardor blockchain to do asset issue,dividend etc. I will place sell order in near future. Thank you,I'm all set now. I want to report a small bug. 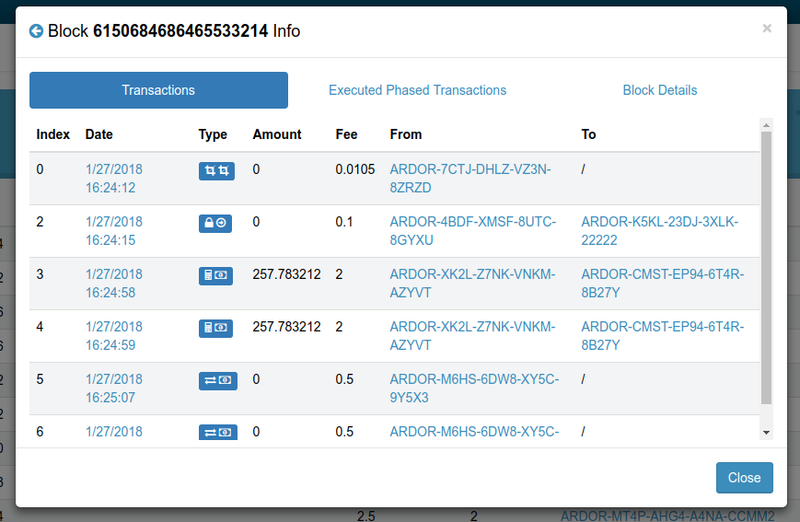 Open account ARDOR-BLCK-V7R9-E3P9-32SWY on testnet,this account is Mandatory Approval by asset. Click Account Details,then Account Control,then click Asset,you will see a errorCode 5 popup. I try test Voucher with Encrypt Message,and I got "Cannot validate voucher content. Parameter 'exception' expected '' actual 'str is undefined'" error,seems like a bug. 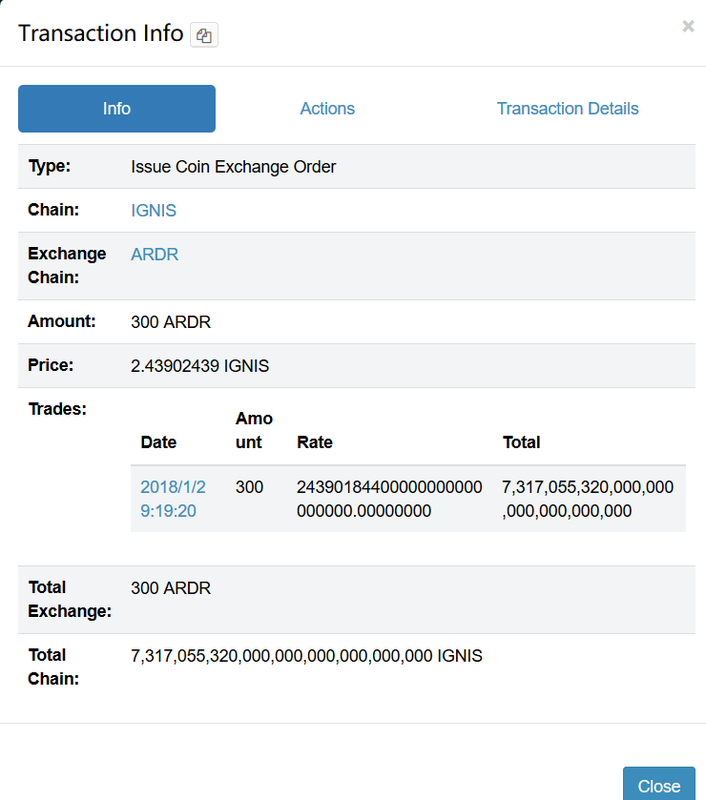 Ardor Software Releases / A bug for Coin Exchange? Nxt Community News and Announcements / Re: The Nxt Chinese website has been completed. Please increase block size limit,I want run a NXT loading test,the only problem seems to be block size. Would be great if we could open the childblock in-place. The interrupted index (0, 2, 3, 4, 5, 6) looks a bit strange. Maybe displaying them with a different color or so. I think this is a bug.Order is 9659058395157038279.The rate somehow *10000000000000000? Thank you,can't wait to try. Is Ardor mainnet delayed? Only 5 days left,seems to me about time to launch the offical mainnet wallet. Devs use other 500M ARDR to forging,don't worry,in mainnet,1 ARDR will be 1 Nxt Ardor asset. I try to issue a new asset today,and since the bundle fee limit is less than 1000ARDR,so I have to bundle myself,the thing is I can't even do that.Bundle keep showing "Incorrect "deadline" value 0.2 is not numeric",which is weired because my deadline is 15.